Expectations for this year’s edition of Automechanika Shanghai are naturally high following last year’s record breaking show, hailed as the most successful in its history. Continuing to serve as Asia’s largest trade fair for automotive parts, accessories, equipment and services, year upon year the event manages to excel in terms of not only size and scale, but also with participant experience and product offerings. The upcoming 2018 edition is of course no exception. The show is scheduled to take place from 28 November to 1 December at the NECC in Shanghai, and the entire automotive world is preparing for what is undoubtedly one of the most important dates on the industry’s calendar. This year, exhibition space is estimated to reach a huge 350,000 sqm. Within the show’s halls, an expected 6,250 exhibitors will cross paths with over 140,000 trade visitors. A growing number of participants in 2018 will represent the show’s stronger spotlight on various trends and advancements which are now becoming ubiquitous across the industry, namely within the sphere of digital automotive innovations. As one of the hottest topics for players across multiple industry sectors right now, advancements in digitalisation are coming thick and fast. The likes of autonomous driving, car connectivity, electromobility and advanced systems all play a crucial role in moulding the future of the industry, and Automechanika Shanghai echoes this evolution in terms of visitors’ sourcing needs, exhibitors’ product developments, and even with the show’s collection of fringe events. Demonstrating the show’s strengthened emphasis on digital trends is the new area for ‘Tomorrow’s Service & Mobility’, which has been established in collaboration with the China Electronics Chamber of Commerce. Located in the North Hall, it’s easy to see why this aspect of the show is gaining more and more traction with exhibitors and visitors alike. In fact, by 2030, connected car services will expand the global automotive industry’s revenue by 30%. At the same time, the penetration rate of autonomous vehicles will reach up to 20%. Tomorrow’s Service & Mobility also covers several aspects of new energy vehicle innovations, such as electric controls, charging infrastructure, battery technology, vehicle components and testing equipment. At the same time, various other industry sectors will demonstrate how these digital trends are filtering into many automotive markets. This includes the Parts & Components and Accessories & Customising sectors, as well as the Repair & Maintenance and Electronics & Systems sectors. Ms Fiona Chiew, Deputy General Manager of show organiser Messe Frankfurt (Shanghai) Co Ltd, emphasised how Automechanika Shanghai continues to walk alongside the industry’s ever-changing trends: “We have been lucky enough to witness a shift in attitude for automotive manufacturing in recent years. The industry’s ‘blue sky’ concepts are now a thing of the past, with the vast majority of innovations in digitalisation and connectivity coming to fruition across multiple sectors. “The show’s representation of the entire supply chain, on top of its ability to attract the biggest names from around the world, allows us to represent this evolution in the most effective way possible,” she added. The show’s returning REIFEN Zone is another vital piece of the puzzle in helping connect the entire auto supply chain under one roof. Covering the very latest tyre, wheel and rim products, the zone allows exhibitors and visitors to capitalise on the continued overlap between the global tyre sector and the automotive aftermarket. What’s more, the REIFEN Zone is this year moving to a new location in Hall 7.2, to yield more opportunities for collaboration with neighbouring sectors and zones. For example, a special showcase will take place for tyres and wheels associated with high performance vehicles such as custom wheels and rims, self-sealing and lightweight tyres, and even more innovative tyre production processes. Fuel efficiency and environmental consciousness will also be a key highlight in the zone, alongside tyres produced specifically for electric vehicles. The area will also welcome even more leading brands this year, following last year’s inclusion of Active Tools, Fangxing Tyre, Guizhou Tyre, Huasheng Rubber, Linglong Tyre, Zhengxing Tyre, and others. 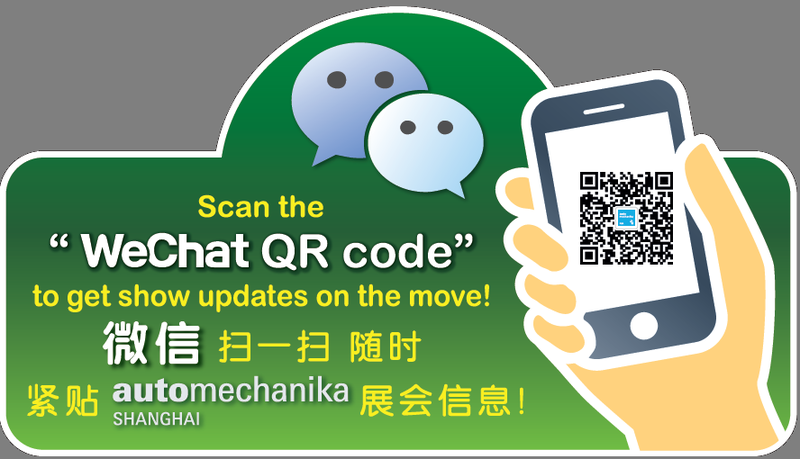 New for 2018, Automechanika Shanghai’s Chain Stores Zone is a direct response to China’s transforming distribution channels – particularly within the field of repair and maintenance. Chain stores in the country now occupy over 20 percent of the market, and offer a more transparent alternative in terms of price and standardised services. On top of this, stricter regulations for the Chinese repair sector have generated an opportunity for chain stores to adapt to the market and gain a stronger foothold against the likes of 4S stores and traditional repair shops. The Chain Stores Zone will welcome a strong collection of domestic and international chain stores, e-commerce businesses and automotive distributors, allowing participants to explore the future of the automotive service sector. This inclusion also serves as insight into the escalating importance for the future landscape of auto repair. While previous editions of the show have welcomed relevant exhibitors such as Detus (Germany), Micheline Tyreplus (France), Autoyong (China), Carzone (China), Che Xiang Jia (China), 2018 serves as an opportunity to explore a wider scope of chain store developments in one dedicated area. More details about this year’s edition will be announced in due course. For further information about Automechanika Shanghai 2018, or to download high-res images from last year’s show, please visit www.automechanika-shanghai.com. Automechanika Shanghai is organised by Messe Frankfurt (Shanghai) Co Ltd and the China National Machinery Industry International Co Ltd (Sinomachint). It is one of 17 Automechanika fairs held across Africa, Asia, Europe and the Americas. For any further enquiries, you can contact Messe Frankfurt (HK) Ltd on + 852 2802 7728 or via email at auto@hongkong.messefrankfurt.com. “The Boom of China’s Automotive Aftermarket is Imminent”, Ipsos. http://bit.ly/2HWRxbp. Retrieved 3 March 2018.